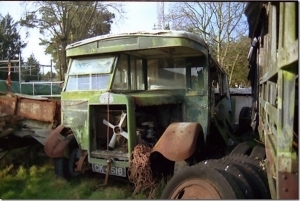 The oldest restored bus in the collection was one of a batch of 63 which were fitted with 4 cylinder Leyland petrol engines. Many were sold by Ribble in 1940 when 1161 went to Wintour of London where it was used by the Ministry of War Transport for taking staff to munitions factories. By 1942 it was with Newbury & District who sold it on to Luff of Leatherhead in 1947. By 1949 it had been converted for use as a chalet near Bracknell. It then took root there (almost literally) until the millennium. Having known of its existence for some time RVPT member Bill Ashcroft reached agreement to rescue it and move it to Lancashire. 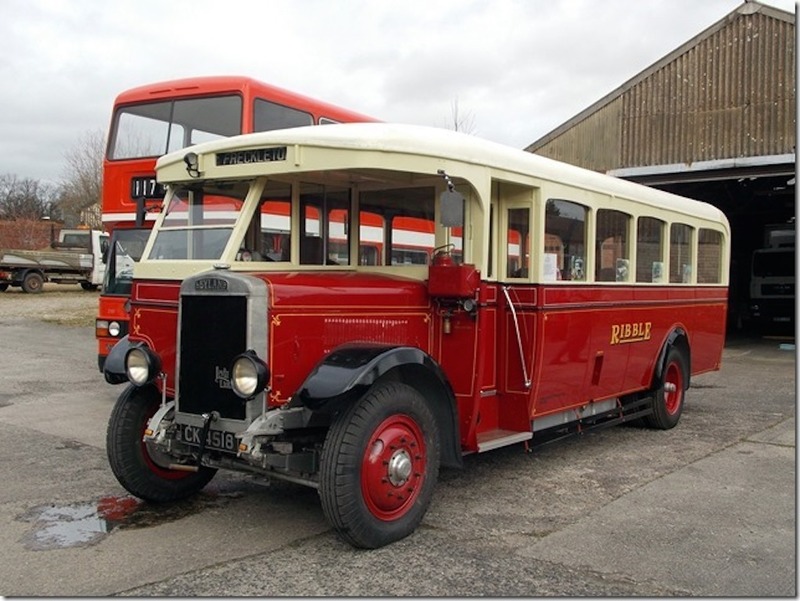 Over the next ten years Bill and his helpers carried out a complete restoration and the bus made its first public appearance in 2012. More work was carried out subsequently and it appeared at our Morecambe running day in 2014. The restoration work was carried out in one of the depots owned by Fishwick in Leyland but during 2014 Bill kindly offered to donate it to the Trust and it now resides in our depot. It is a remarkable survivor and plays an important part in the Ribble story. A full colour booklet telling the story of the bus and its restoration is available for £5 and anyone interested in having a copy is invited to contact us through the contact form on this site.